The year 2195 was marked in the history as the day the robot revolution began. However humans were able to beat the robots by the year 2450. 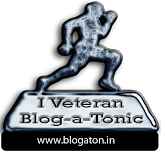 They were again learning to live but then another monumental thing happened year 2524 saw the arrival of first extra terrestrial or Alien race to the Earth. They were called 'XuXuc" and carried a sword like weapon called Xiphoid. Initially they appeared friendly and spoke of peace but like all the stories about aliens they started revealing their actual plan which was to harvest their food source which was bones. They weren't interested in Water or trees or meat but just bones and they loved the human bones the most. They would just touch the person with their Xiphoid and its multi volts current would melt the skins right off the bones and they they would enjoy their snacks. He was yet another individual who liked the aliens and the significance of their arrival but he was also the first one to see actually what was their actual reason for coming to earth. He alerted all the people about their activities and then worked towards stealing few Xiphoid for the humans, they were successful and Xiphoids became the weapon for human independence as they used XuXuc's own weapon against them and showed them to their paths to death. Human race was yet again victorious. 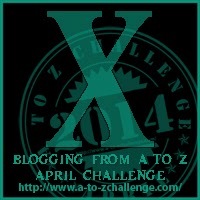 My Entry for Blogging from A to Z April Challenge 2014 - Letter X.